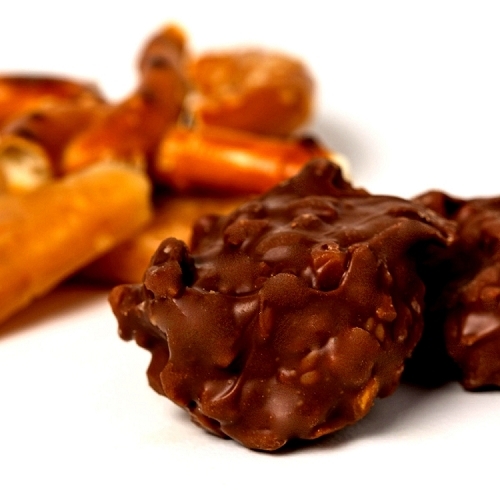 Dazzle and delight your senses with handmade buttery toffee that has just the right amount of light crunch. Coated in a thick layer of David Bradley Chocolate and topped with a sprinkle of Sea Salt, one won’t be enough. Available in a 6oz Snack Bag or a One Pound Gift Box. The perfect bite! 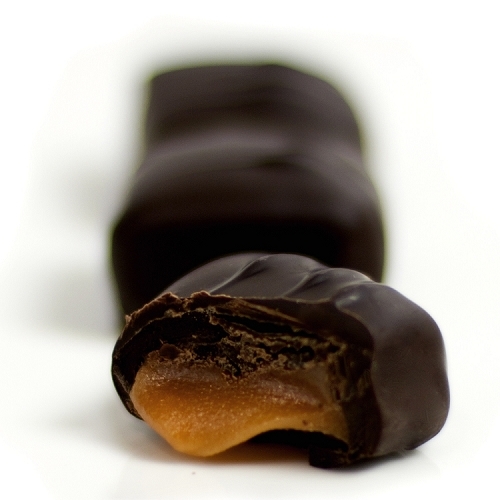 If you want perfection in the perfect bite, this sea salt toffee is your answer. You get the toffee crunch, saltiness and sweetness all in one. I treat myself to these every so often. Treat yourself and you won't be sorry! 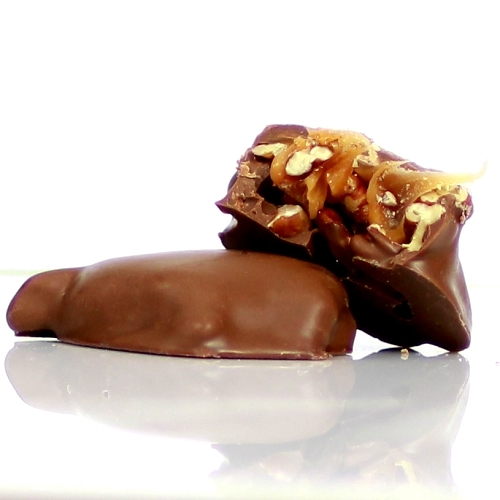 The milk chocolate sea salt toffee taste so good it is like having a piece a heaven in your mouth (the milk chocolate sea salt caramels are a close second)! I LOVE this dark chocolate toffee with sea salt!!! I simply can't resist buying it every time I visit the store! This is by far my favorite cheat food of all time! I enjoy the milk chocolate, but the dark chocolate is delicious too. It is exactly the fix I need for my sweet and salty cravings!I am usually not a fan of sweets, but this the by far my favorite. The perfect indulgence! 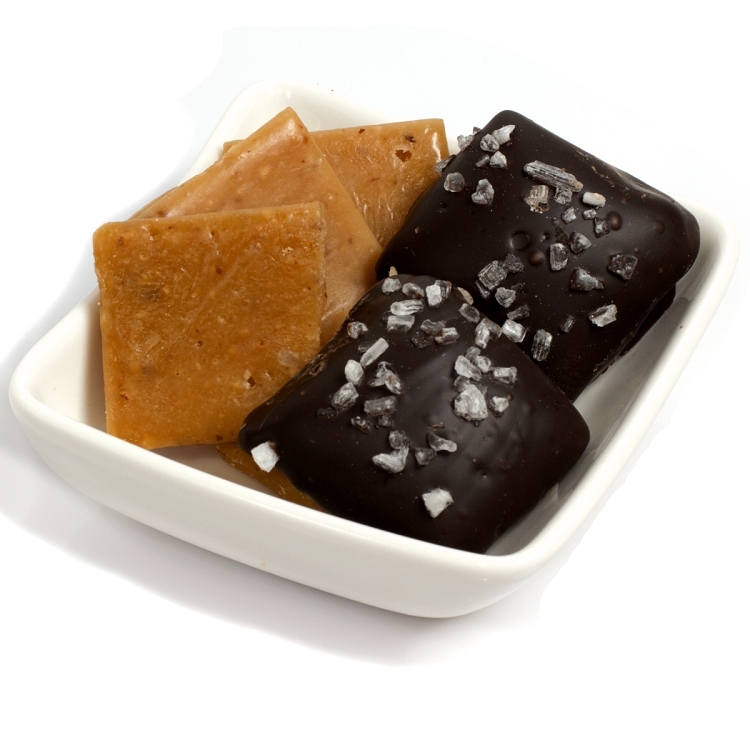 If you are looking for something "worth" treating yourself to, these sea salt toffee pieces are your answer. The combination of crunch, smooth sweetness and salt hit every craving you have. No guilt whatsoever!